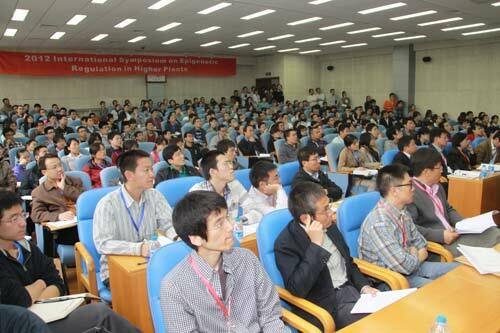 The 2012 International Symposium on “Epigenetic Regulation in Higher Plants” (http://iserhp2012.csp.escience.cn) was held in the Institute of Genetics and Developmental Biology (IGDB), Chinese Academy of Sciences (CAS), Beijing on April 19-21. The symposium was sponsored by IGDB, Epigenomics of Plants International Consortium (EPIC) and State Key Laboratory of Plant Genomics, and co-sponsored by Beijing Institutes of Life Sciences (BIOLS), CAS, Journal of Genetics and Genomics (JGG), Hereditas (Beijing), and Genetics Society of China. It is supported by National Natural Science Foundation of China, Beijing Institute of Life Sciences, CAS and State Key Laboratory of Plant Genomics. In the opening ceremony, Professor Xiaofeng Cao, co-chair of the Conference Organizing Committee and PI in the IGDB, CAS, introduced the background, objectives and significance of the conference. She expressed that the meeting would provide a platform for the national and foreign scientists working in plant epigenetics to enhance understanding and cooperation. 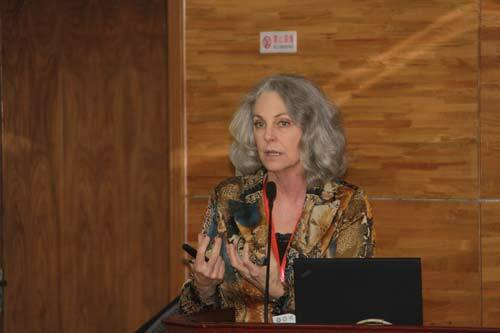 Professor Vicki Chandler, member of the National Academy of Sciences of USA, presented the Keynote Lecture. There were 4 sessions in the program DNA methylation and gene expression; Histone methylation; non-coding RNAs and; Epigenomics, comparative genomics and evolution. A total of 26 foreign and national speakers introduced their progress in plant epigenetics. The participants extensively exchanged ideas, enhanced mutual understanding, and laid a solid foundation for mutual cooperation. Dr. Doris Wanger, member of the steering committee of EPIC and Associate Professor at the University of Pennsylvania, delivered the closing speech. She concluded that the conference has been fantastic and very successful, which provided a platform to enhance communication and collaboration among scientists in plants epigenetics from different countries. At the end, she thanked the organizers, the sponsors, the speakers and all the other participants for their efforts to make this event a success.